Original happy birthday toasts are rare. That's mostly because it's easy — and safe — to rely on the old standbys that are available all over the web. The only problem? The oldies but goodies online have been, as the saying goes, around the block more than a few times and lack the originality to actually entertain the audience and, most importantly, make the birthday boy or girl feel truly special. 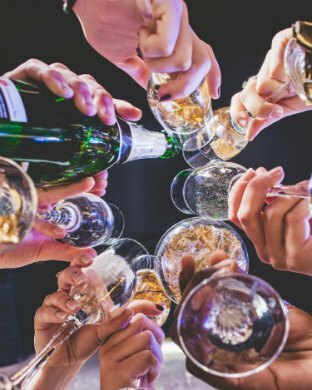 On this page, it's fortunately very easy to find great, one-of-a-kind toasts that will get the job done well when it comes to your audience and the birthday girl or boy feel incredibly special! ...Happy birthday toasts can also be the most impersonal toast you can pick if you stay with "oldies but goodies" like "Happy Birthday" or "Wishing you all the best" (you know what I mean). Yes, they're good but they're also really, really old and really, really boring. 1. Your toast must be suitable for the recipient (happy birthday toasts are highly appropriate for family, coworkers, clients and acquaintances, not for girlfriends, boyfriends, husbands or wives). 2. The message should not be too safe. "Too safe" may be too impersonal for the birthday boy or girl. Gauge how far you can go with a toast by their personality. 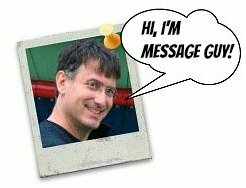 If the recipient of your message is an introvert, veer more to the safe side. If he or she is an extrovert, go out on a limb and be a little daring (i.e. add some humor) with your toast. 3. Needless to say, your toast should reflect how you feel about the birthday boy or girl and the relationship you have with him or her. Don't settle for a vanilla, one-size-fits-all birthday message. May every day of yours be happier and richer than the last. Happy birthday! May the true secret of happiness, honor and success always be with you on your journey...today, on your special day, and all your tomorrows. Happy birthday! May you look forward with happiness, hope and wonder...and may you look back without regret or disappointment. Happy birthday! Happy birthday! Let yourself never flounder in following your direction in life, keeping your head up high, believing that all will work out as it should and, most of all, pursuing happiness wherever you are. May your joy and wonder be free from the sting of remorse and regret. Have a great birthday! May your joys be as deep as the ocean and your misfortunes as light as a drop of water. Have an amazing birthday! 1. This toast is 100% celebratory (in other words, it's just happy, happy, happy) in the most important way: it celebrates the recipient. No bad vibes here. 2. This message is personal (not one-size-fits-all). It reflects the personality of the individual giving the toast. How do I know? I gave this toast myself. 3. Most importantly, this toast does not contain even a hint of anything offensive. It's what you want a "happy" birthday toast to be: safe to use anywhere. As you know, I’m not a big drinker. In fact, you might say I’m a teetotaler. But I can’t think of a better reason to have a drink right now. Heck, I’d have a hundred drinks in your honor. So I want to raise a glass to you, my friend. Happy birthday! May I drink to you and your special day every year, for many years to come. Here's to your health — may you live forever and one day. Here's also to your happiness — may you live happily ever after. Last but not least, here's to your success — may you live a rich life (in more ways than one). Happy birthday! On behalf of everyone here, may the wonder of wishes and dreams be part of your day, every day for years and years. Have a wonderful birthday! May you have miles of smiles today, tomorrow and the coming years. Happy birthday! We wish only the best of everything you wish for and life has to offer you today and throughout the remainder of your days. Here's to your health. May God bring you luck and may your birthday and future journey be smooth and happy. Happy birthday. To a great birthday, a great year and a great person! May this special day be your greatest! Cheers! May the frowns of misfortune and sadness never rob you of your innocence, joy and wonder. Have a great birthday! Here's to a happy birthday and a happy life! Be merry and let happiness be your dance partner, guide, truth and only vice. Here's to your health, honor and happiness. Health to you always. Honor wherever you seek it. Happiness in your home. 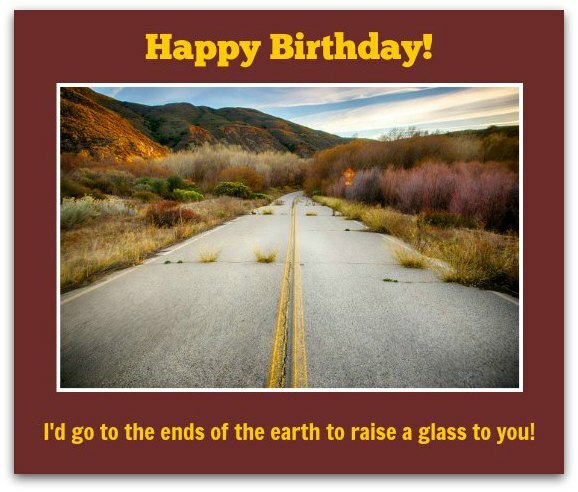 And, of course, here's to your birthday! Want to deliver an unforgettable toast? Whether this is the first time you need to give a toast or the 100th, you want yours to be unforgettable. If this sounds like you, check out some amazing tips on delivering an awesome toast. It'll only take you a minute (just as long as your toast should be).